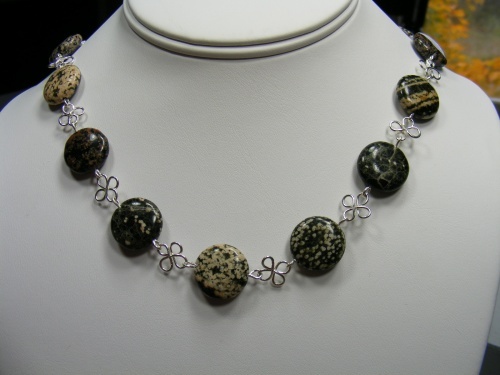 These beautiful ocean jasper beads are so striking and have so much character. Uniquely embelished with clover shaped links of sterling silver. This necklace measures 18".